Everybody wants longer, thicker, shinier, healthier looking hair and there are alot of products on the market that claim to give just that. I have tried endless products, shampoos, serums, and so forth trying to find that magical cure. Recently I stumbled upon a product that many have claimed to work for them, snake oil. 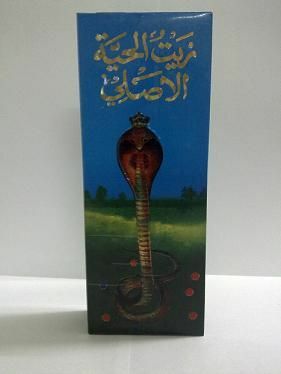 Yes, actual oil from a snake. It's called Snake Oil, The Original. My friends have gone crazy about this and rightfully so! It's one of the most highly purchased items in Iraq & Kuwait. Many who tried it claim that snake oil is the secret to their lushious locks. And it also seems that westerners have caught on the trend as well. Frederic Fekkai, the guru of hair products, made a version of snake oil that many are claiming to do wonders for their hair. Victoria Beckham and Gwyneth Paltrow both have jumped on the wagon using snake oil to keep their skin firm without the need of botox (more about this later on). Ibrahim Saraçoğlu, a Turkish doctor, advised to add 3-4 drops of pine turpentine oil and 3-4 drops of snake oil into your daily shampoo for a shinier, healthier looking hair. I recently purchase a bottle for myself to try, but gave it to my cousin to try after I told her about it. I will be getting myself another bottle to try and I'll let you all know if it works. Or if you have already tried it, let us all know if it worked for you!